Republican U.S. senators opposed to Obamacare said the best alternative would be a narrower system of tax credits for Americans to buy health insurance without any of the mandates for people or companies to participate. Jan. 27 (Bloomberg) — Republican U.S. senators opposed to Obamacare said the best alternative would be a narrower system of tax credits for Americans to buy health insurance without any of the mandates for people or companies to participate. 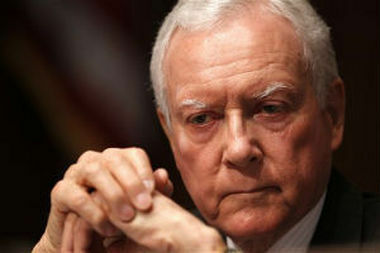 The proposal today by Senators Orrin Hatch of Utah, Richard Burr of North Carolina and Tom Coburn of Oklahoma is a response to criticism from President Barack Obama that Republicans have offered no credible alternatives to his $1.4 trillion expansion of the U.S. health-care system. The senators’ plan came with no estimate of its costs or a timetable for formal legislation. Aides to the senators said they don’t expect any Obamacare replacement plan to be seriously considered by Congress before the next U.S. presidential election, which is more than two years away. In the meantime, they need to build a base for what that alternative may be, said Robert Blendon, a professor of health policy at the Harvard School of Public Health in Boston. “There’s no way a Republican can run for president in 2016 without having a major health-care plan,” Blendon said in a phone interview. The 2010 Patient Protection and Affordable Care Act known as Obamacare mandated an end to discrimination against people with pre-existing health conditions and required that all insurance policies this year meet minimum coverage rules in return for an obligation that most Americans obtain insurance or pay a fine. It also requires companies with 50 or more workers to offer “affordable” coverage by 2015 or pay a penalty. The law set up government-run insurance exchanges where Americans can buy private health plans with the help of federal tax credits and expanded eligibility in some state-run Medicaid programs for the poor. The Republicans’ proposal would do away with the mandates while providing tax credits to purchase insurance for people earning less than three times the poverty level, or about $70,650 for a family of four. Obamacare’s expansion of Medicaid would be repealed and states would receive a capped amount for the program based on their populations of women, children and families under the poverty level. To raise money for the tax credits, the plan would cap the value of employer-sponsored insurance exempt from federal income tax. There is currently no such cap, which the senators’ aides said would lead to pressure from workers and their employers to reduce health insurance premiums. The senators said they would guarantee that private insurance could be obtained without consideration of illness or pre-existing conditions for Americans who maintain continuous coverage. People who experience a gap in their coverage would be subject to medical underwriting, in which insurers would charge them more based on their health. The senators’ aides said the new law’s sputtering start and complaints about rising premiums and coverage requirements will build pressure for an alternative. A Democratically controlled Congress passed the law in 2010 with no Republican support. Obama’s term as president doesn’t expire until January 2017. His fellow Democrats now have a 10-seat majority in the U.S. Senate, while Republicans control the House of Representatives.